Washington, DC (TADIAS) – As Ethiopia’s elite long-distance runners prepare for their leg of the competition at the 2012 London Olympics starting later this week, a new film entitled Town of Runners is also introducing a small Ethiopian town called “Bekoji” to the world, where Ethiopia’s greatest Olympians hail from. Four years ago, runners from Bekoji won all four gold medals in the long-distance track events. 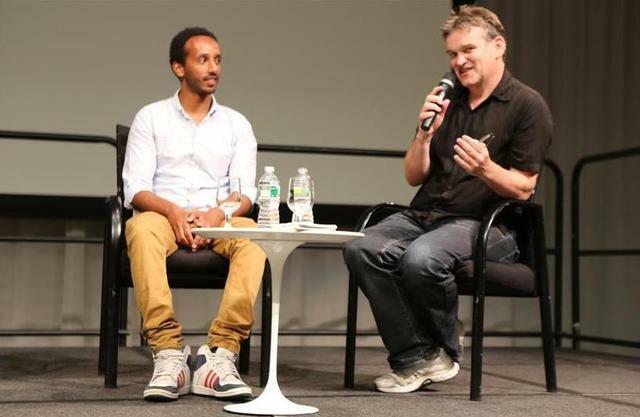 The 86 minute documentary, co-produced by Dan Demissie and directed by noted filmmaker Jerry Rothwell, was screened at the World Bank Africa Film Series in Washington, D.C. last week to a sold-out audience of more than 300 people. The movie follows two girls over the course of three years as they try to become professional runners. It also spotlights their coach Mr. Sentayehu Eshetu, a former elementary school Physical Education teacher who discovered and trained several of the country’s top runners, most significantly Derartu Tulu, the first African woman to win a gold medal at the Olympic Games. Following the screening, a panel discussion with the filmmakers was held, which also featured other guests, including Donald Bundy of the Human Development Network at the World Bank, Greg Toulmin who is the World Bank Country Program Coordinator for Ethiopia, Sudan and South Sudan, and Patricia Ortman, Founder and Executive Director of Girls Gotta Run Foundation (GGRF). Below are photos from the event. Can you please tell me how to get the DVD in US?